It seems like every month we get a new world's thinnest smartphone, but Chinese manufacturer ZTE knows that's a mug's game. They've decided to go for broke with the Grand S, which sports a 5-inch 1080p screen (like all the cool kids do) and still manages to fit into a case that's just 6.9mm thin at the thickest point. For what it's worth, that makes the Grand S the thinnest 5-inch, 1080p phone out there. (The current holder of the coveted "world's thinnest" title is the 6.45mm Alcatel One Touch Idol Ultra, introduced just yesterday.) 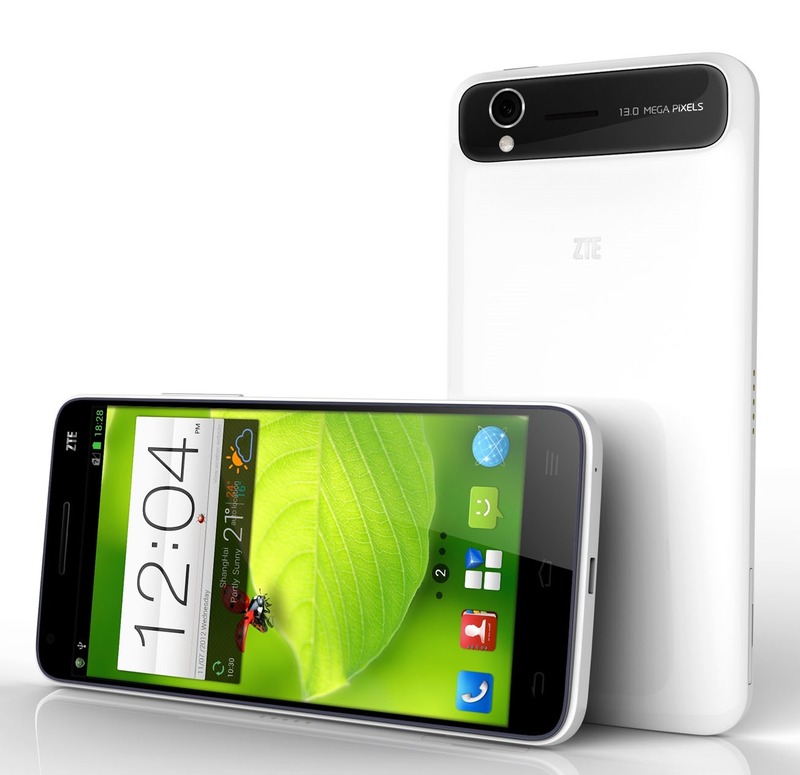 Other drool-worthy specs include a 1.7Ghz quad-core Snapdragon S4 processor, 2GB of RAM, and a 13MP rear camera. Inside you'll get 16GB of memory for Android 4.1 to use, along with an LTE radio. Styling looks a lot like a two-tone, glossy version of the HTC One X, complete with capacitive buttons. Also, take a look at the right side of the case - ZTE seems to be trying some Nexus-style pogo pins for docking and charging. Beyond that, the Grand S will feature the obligatory custom UI, and proprietary Palm Manager software to "helps users manage mobile phone software, optimize electricity use and protect private information". There's no mention of a MicroSD card, battery capacity, or price, but Chinese Android fanatics should be able to pick one up in the first quarter of this year. ZTE hasn't made any announcements about worldwide availability, but there will be more than a few carriers looking to flesh out their lineups with a 1080p phone in 2013, so we'll keep our ears to the ground. LAS VEGAS--(BUSINESS WIRE)--From the 2013 International Consumer Electronics Show (CES), ZTE Corporation (“ZTE”) (H share stock code: 0763.HK / A share stock code: 000063.SZ), a publicly-listed global provider of telecommunications equipment, network solutions and mobile devices, today announced the world debut of the ZTE Grand S – 5.0 FHD LTE. As the flagship handset in ZTE’s high-end Grand Series line of products, the ZTE Grand S is the company’s first FHD smartphone and the world’s thinnest within 5 inch FHD quad-core smartphones, enabled by the Qualcomm Snapdragon S4 Pro processor, a product of Qualcomm Technologies, Inc., a wholly-owned subsidiary of Qualcomm Incorporated. Developed by ZTE, the ultrathin body and high definition display of the ZTE Grand S offer consumers the latest in style, quality and functionality.